With over 2000 kilometers of lineal sales, ChildGard™ pool and garden fencing, introduced in 1970 will soon be celebrating its 45th birthday on the Australian market. It’s available in a range of styles and a broad range of colours to compliment your home and satisfy your individuality. 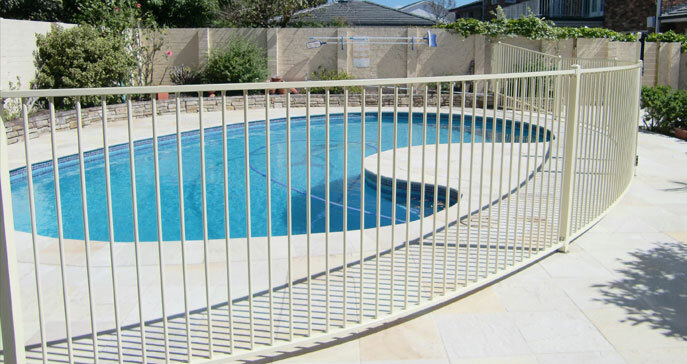 ChildGard™ Pool Fencing is engineered to exceed the requirements of Australian Standard 1926 – 2012. Pool fencing installation must comply with Australian Local, State, and Territory legislation. Please refer to your local council to find out the rules for your area and situation. Remember, pool fencing protects you and your family. Pool Fencing is available in stylish and sophisticated designs that will suit any of your Pool Fencing needs. There is an extensive range of fencing styles and colours that will combine with your pool and garden to give a flawless appearance. They are manufactured in two basic material finishes: Aluminium / Powder-Coated and Pre-Galvanised / Powder-Coated. Aluminium finish provides premium quality, long life, and is recommended for use around salt-water pools, while Pre-Galvanised would be adequate for non salt water pools. Pool Fencing is available in various lengths and heights to suit your individual or council requirements.